Ibiza is an island with a lenght of 45 kilometers 15 width ¿Do you think it is a small island? Maybe you think so, but you can come several times here and leaving Ibiza without discovering all incredible hidden places of Ibiza. That is posible because lots os people just know Ibiza clubs and nightlife, but there is a less-known and more authentic Ibiza, a magic island. For those who never have been here before, they just think that Ibiza is just a party-island. 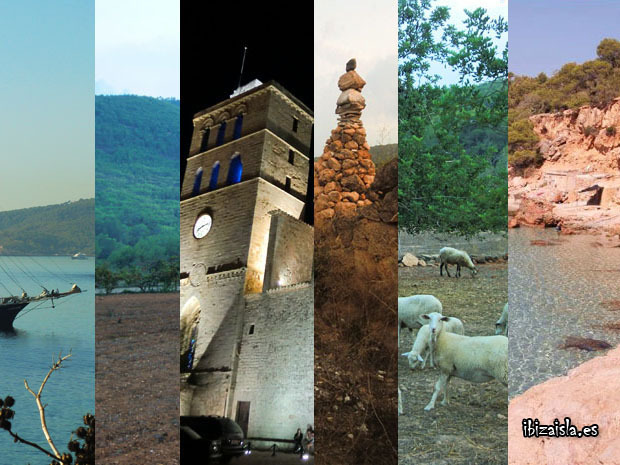 More than 100.000 people live in Ibiza and they have their own dialect called “eivissenc”. All traffic signs are in that language, don’t get confused. You should also know how to pronounce ‘Ibiza’: please don’t say “i-bee-fa”. The correct pronunciation is “Ee-bee-tha“. The fact of being an island, has alleged that Ibiza was separated from other cultures and civilizations for centuries, providing the island with its own history and manners. The privileged location of Ibiza in the Mediterranean Sea has become a desired island since ancient times to control trade routes in the western Mediterranean by the many cultures that have passed. Phoenicians, Carthaginians, Romans, Arabs and Catalans have left its mark in Ibiza, and is still evident in the architecture, traditional dresses or songs, which has created original Ibiza. We have also to mention the hippies that visited and stayed on the island in the 60s, so Ibiza is famous since then. Although most of hippies have disappeared, their spirit still lives in Ibiza markets and hippie style parties. So if you are coming a week or the whole summer, be sure that you will discover just a little part of Ibiza… Because it’s not the same to see the city calm in the field, or see Es Pla de Corona with all the almond blossom in February, or see the other side of Ibiza in winter, sitting by the sea watching sunset …So much to see!